This week I touch on rainy days, lanterns at the Chinese Gardens, ballet and reduced priced kids DVDs. As we enter the wet season there’s going to be plenty of days when the kids are going to be trapped inside (or at least inside a mall or indoor playgrounds). So we did some fort building last weekend, time to pull the cushions off your sofa and start building. Any rainy day tips? 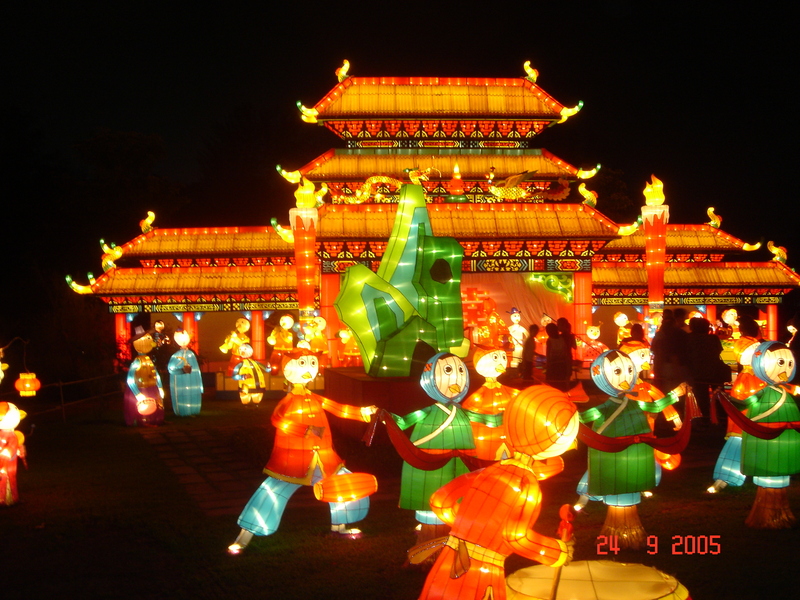 The display of lanterns at the Chinese Gardens goes on until the 23rd of September. It’s been a few years since we have been but it was really amazing as they are in the trees and on the buildings. As it obviously doesn’t start until after dark we might have to wait until our little ones are a little older to make it due to their bedtimes. You’ll notice from the photo below it’s been a few years since we have been. The Singapore Dance Theatre have 2 shows coming up for kids. Peter and Blue’s Birthday Party from the 26-29th September and Introduction To Nutcracker on the 6th October both at the Esplanades. Not seen any of their stuff before but planning on taking the eldest as she has been having ballet lessons at school. Faireprice has 30% off kids DVDs including Barney, Dora, Sesame Street and Diago. So if your thinking about something to keep the kids happy whilst your having your Sunday brunch or for an upcoming flight you might want to pop down and grab a couple.